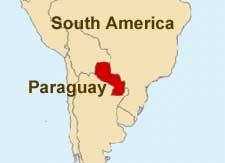 Paraguay, officially the “Republic of Paraguay” is an independent and landlocked country in South America. The country is known for its wilderness, forests, waterfalls, swamps, and ancient and colonial remains. The people of the country are also regarded as one of the most livable and happiest people in the world. Prior to the arrival of the Europeans, the regions of what is now Paraguay was inhabited by the “Guarani” and “Guaycuru” people/tribes. These people were hunters or farmers and lived peacefully until the colonists arrived. Spanish were the first Europeans to reach and explore the region followed by permanent settlements. Afterward, the Christian missionaries arrived in the purpose of converting the local population the Christianity. The Spanish ruled in the region continued till 1811, when the local people finally declared independence. Paraguay is bordered by other South American Nations of Brazil towards the East and Northeast, Argentina towards the South, and Bolivia towards the Northwest. The geography mostly features rich and fertile lands, hills, rivers, and plains. 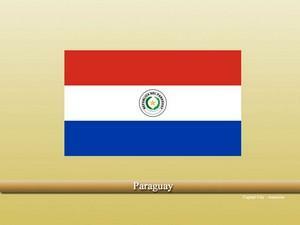 The economy of Paraguay is diversified with various sectors contributing towards the economy e.g. tourism, mining, agriculture, services, industries, etc. Soybean is one of the most crucial exports of the country. Guarani and Spanish are the official languages of the country while Christianity (Roman Catholicism) is the largest religious sect of Paraguay, and was introduced during the colonial era in the region. Vastu remedies for financial problems?